In larger retail environments, it’s difficult to imagine keeping track of stock for thousand of items, not to mention the prices of all these items. In a retail environment, if management want to change the price of an item or run a special offer this can be done very easily using EPoS and getting data on how these changes impact sales can also be easily obtained. While it easy to dwell on the front line advantages at the point of sale, the data being recorded by the systems is of great value to management. Accurate sales reporting is vital for management, similarly the ability to have constantly updated inventory and customer data is useful for both accounting, marketing and sales purposes. 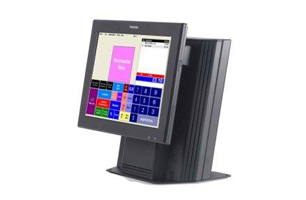 Seasonal Retailer Calendar Club, installs Toshiba’s latest compact integrated POS solution the ST-C10, supplied by Southern Retail Systems. Calendar Club, established on the high street in 1998, has selected the Toshiba ‘all-in-one’ ST-C10, with its small footprint, integrated printer and fanless design, as an ideal fit for its high street stores and shopping mall outlets. 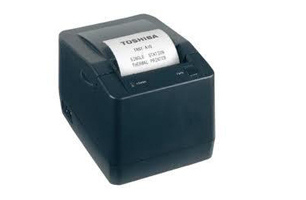 Whether you’re looking for details on thermal or dot matrix printers, or want to know more about popular brands and models such as Zebra Technologies, Star, Epson, Toshiba and Bixolon, as well as generic low cost printers, Southern Retail Solutions can help. SRS offers a wide selection of barcode scanners, ranging from laser barcode scanners, wireless barcode scanners, 2D barcode scanners and CCD scanners to point of sale barcode scanners. 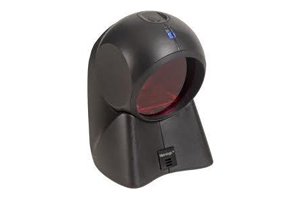 SRS barcode scanners are easy to install and use, and feature flexible connectivity options including USB and BluetoothTM wireless. 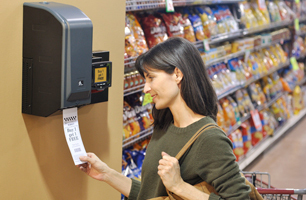 Ideal for applications including retail, office, stock control, and manufacturing, Wasp barcode scanners offer the reliable performance your business demands. SRS provides secure chip and PIN payment solutions to meet all your business, retail and banking needs. Managing the logistics of your secure payment devices, whether fixed, mobile, attended or unattended is an essential component in the prevention of fraud. 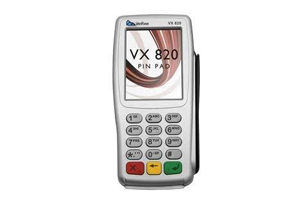 Using Secure Retail means that you can have complete traceability on your estate and experience the best service levels in the supply and management of chip and PIN devices to the retail and hospitality sectors. 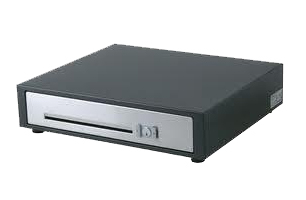 Sitting below the EPoS hardware or even affixed under the counter, cash drawers are controlled by the EPoS system providing total transparency on when they are opened. Our retail software modules span everything from purchase order to point of sale, including revenue and gross profit analysis, stock assessment in real-time, remote scheduling of promotions, and extensive multi-level reporting. In addition, our system provides updates in real time, which enables retailers and franchises to respond quickly to changing demand. We also offer an off-the-shelf integrated eStore and back-office which cuts duplication of effort and boosts operational efficiency. SRS’s reliable and cost-effective solution provides hospitality businesses with the control and insight they need to fully manage their operations and make informed, real time decisions.Our modular software and seamless integration with leading EPoS suppliers means we can scale and tailor our solution to perfectly fit the needs of single site or managed chain bars, clubs, pubs, cafes, hotels, restaurants and fine dining.Our hospitality solution spans everything from purchase order to point of sale, including revenue and gross profit analysis, stock assessment in real-time, remote scheduling of promotions, and extensive multi-level reporting.Uniquely at this price point our system provides real-time updates, which enables hospitality businesses to rapidly respond to changing demand and stock levels. Our Back Office POS software is the management and stock control system with which you are able to analyse your business at the touch of a button. Working in conjunction with the EPOS, the Back Office allows you to react smartly to customer sales history and make informed buying decisions through efficient use of the comprehensive reporting suite.As well as ensuring you achieve tighter stock control, the Back Office Toolkit will give you complete control over your purchase ordering with your suppliers and present you with an effective means of measuring their performance.If your business is a multi-store organisation you will be able to manage your group stock effectively and ‘have your finger on the pulse’ with each of your stores or outlets. Eskimo Back Office Toolkit will help to reduce your paperwork, automate many of your routine procedures, and therefore increase the effectiveness and productivity of your business and its staff. Ultimately, it will contribute to increasing your turnover and profit.